After toying around with Assassin's Creed Pirates' price tag over the past few months, Ubisoft has decided to drop it entirely. 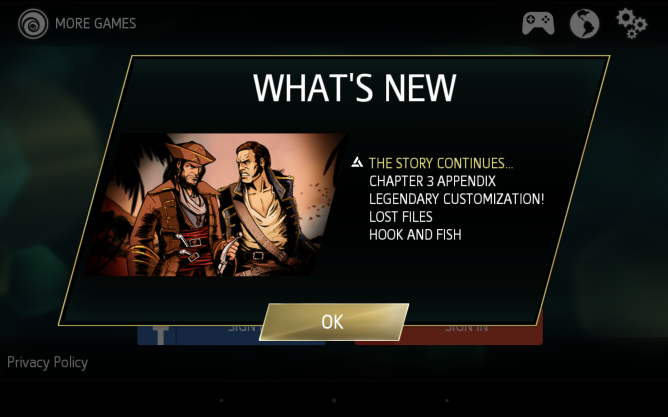 The game contains in-app purchases that raise revenue through other means, but now players are empowered to hop in and start sailing without having to pay a cent. Ubisoft has also updated the app with a "Cold Blood" chapter that leaves behind the warm Caribbean for the frigid Arctic Seas. A new crew member that can help gather resources is present to help players survive this new adventure, and there are new ship customization options. 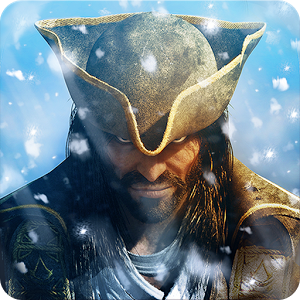 Pirates may sound like a companion title to any of the recent Assassin's Creed console titles, but it's actually a full standalone game that's exclusive to mobile titles. The game was recently on sale for just 10 cents, and in hindsight, this may have been an experiment of sorts for Ubisoft before dropping the price entirely. If you bought the game back when it cost $4.99, then any frustration you feel right now is understandable (you're welcome to ask for a refund), but if you snagged it for a dime, well... that was a steal anyway. Get it, steal? Hehe, just a little pirate humor. Explore a new chapter appendix in the Arctic Seas. Always short on resources? You'll meet a new legendary crewmember that will fix this for you! Introducing legendary customization: give your ships a brand new look and improve their abilities! And many other improvements that will enhance your pirate experience!